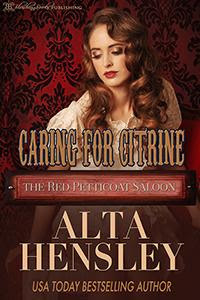 The Red Petticoat Saloon: The latest in the Red Petticoat Series by Carolyn Faulkner is here! 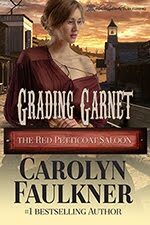 The latest in the Red Petticoat Series by Carolyn Faulkner is here! To say we were excited to have Carolyn Faulkner join the list of great authors who've contributed their wonderful stories to The Red Petticoat Saloon series would be an understatement. 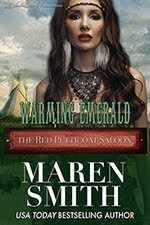 Grading Garnet is the newest book in the series and gives the readers a little twist. Gloria Owens, an independent woman and self-declared spinster has plotted out her entire life. She arrives in Culpepper Cove-not to take any position in the west's most famous saloon, but to become the town's first schoolmarm. Her very first night in town has her witnessing some very disturbing activity from her hotel room window. Realizing that her voyeurism hasn't gone unnoticed, she decides she will deny any accusation and yet she can't deny the guilt she feels when the very naughtiness she witnessed has her intrigued. Discovering that even the best laid plans can go awry, Gloria is informed that she will be living with the head of the school board, Seth McIntrye. Seth finds the schoolmarm's judgmental ways to be an issue. 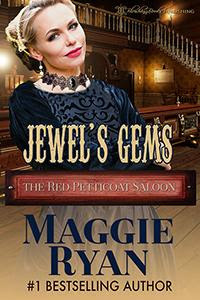 While she isn't another Millicent Crankshaw, a far as he is concerned, she needs to get down off her high horse and accept the fact that the gems at the saloon are just as good if not better than any other woman. If it takes pulling her over his knees to get to the bottom of the problem-so be it. 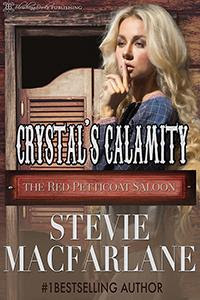 Carolyn takes you into the heart of Culpepper Cove and its citizens. 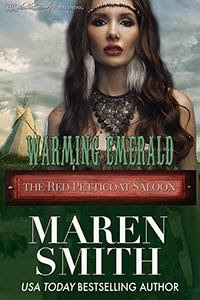 I hope you enjoy Gloria and Seth's journey towards acceptance and discover how a schoolmarm earns her gem name of Garnet. Gloria Owens was not about to allow her father to marry her off to anyone, much less someone he actually had to pay to take her in the form of a very generous dowry. Money would not be enough for some poor man to overlook her plainness-of features and of speech. She never intended to marry. She had other plans-she wanted to teach as her mother had taught her as a child. 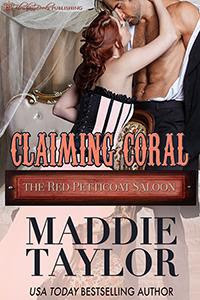 Very neatly circumventing her father's wishes, Gloria got her certificate and found herself a job in Culpepper Cove, California, where she intended to be a very happy old maid schoolteacher until her dying day. But she hadn't accounted for the man who had offered her the job-the head of the school board-one Seth McIntrye. 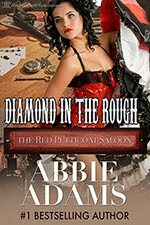 He seemed to take it upon himself to get under her skin to the point of deciding to appoint himself in charge of what he considered to be her desperate need for discipline. And she certainly hadn't accounted for the idea of seeing that man doing things to a woman that-if she were honest with herself-she would have preferred he do to her! 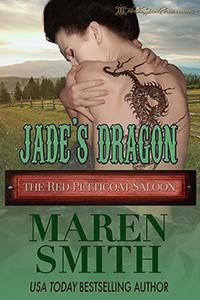 What's more, not only was he technically her boss, but she had to live under his roof, which only gave him that many more reasons-excuses to paddle her behind. Under his guidance, Gloria learns that she shouldn't make hasty judgments about things and people she knows nothing about. Those beautiful women who work in The Red Petticoat Saloon are nothing like she imagined. 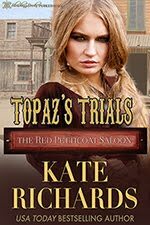 They might be soiled doves but each and every one has battled for their own dreams-was she really that different from the women who never hesitated to help another? When Seth sets her rear on fire and follows by igniting passion she never knew she was capable of, Gloria learns that there are lessons to be learned that weren't found between the pages of any book. 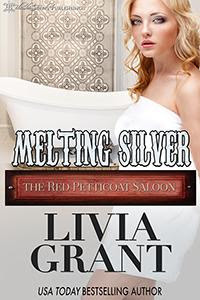 Would one afternoon of wild passion be enough to weaken Gloria's plan on remaining a spinster or would Seth's determination to corral the saucy Miss Owens have her becoming his bride? 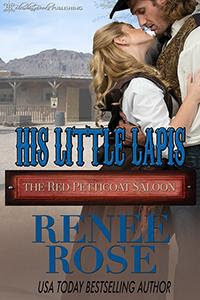 DISCLAIMER: This book contains the spanking of adult women and sexual scenarios. If any of these offend you, please do not purchase this book.